Server Sitters specializes in outsourced hosting support and we have a large number of skilled technicians that are available around the clock. We are a premier web hosting support provider that offers a true 24/7 technical support solution. 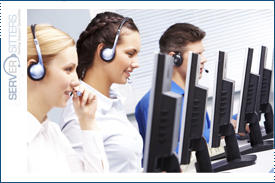 We guarantee that you will reach a technician via email, live chat, or telephone 24/7, 365 days a year. The best way to test a support company is to wait until 3:00am and then try calling their support line. You would be surprised how many support companies fail at offering real live support 24/7. Our web hosting support specialists are standing by and you can reach us 100% of the time regardless of the day or night.